I am slowly getting my life back after some of the workshops and big jobs are finishing up. I have decided to go back to processing images from my trip to the Eastern States. 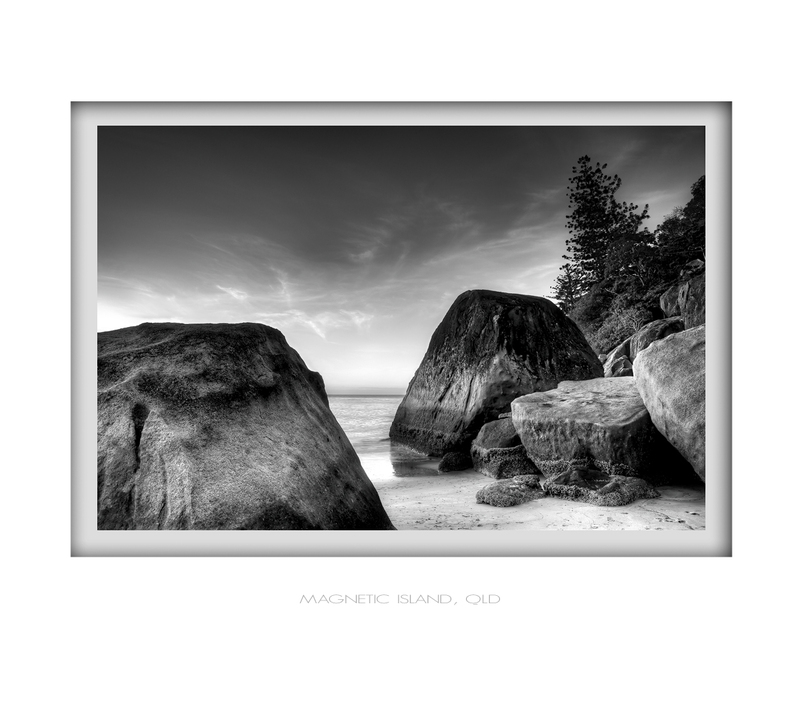 This one of Magnetic Island was run through Photomatix 3.2 and ended up ok. I had some serious issues with some weird pixels in the highlights. Had to pull out all my photoshop tricks to put this one through to the next level. I used Noise Ninja, Gaussian blurs, motion blurs, lots of layer adjustments, mid tone contrast tricks the whole lot. Probably the hardest I have worked for a long time. Still some issues to sort out but that will have to be for another day. Off to Port Hedland tomorrow to run a 2 day photoshop workshop. If it goes well I might do a similar workshop in Perth or some other exotic location. Don’t forget the pizza night at Marks place on Friday the 6th. If you want to come you need to email him mark@northstarcruises.com.au. He has a special announcement to make you won’t want to miss. It may already be full, he will let you know. ~ by christianfletcher on October 29, 2009. Ahhh…. Port Hedland , what a town. Have you checked out the salute to Marble Bar, now THATS a town. Hey Christian nice photo, Looks the goods in B/W. Hope the Tutorial goes well. See ya at Marks next week. Your B&W work is superb and I plan on doing tons of it when I am Down Under for 2010-2011. I realize Australia is so absolutely stunning in color, but I think it can look equally magnificent in B&W. Mmm, nice B+W, nice wispy cloud, like the contrast. A corker for printing on canvas. Nice work Christian. The b&w works well but I really like the compostion in this one.